Single-player games, sometimes called solitaire or solo games, are a bit different from other player configurations in that they mostly pit a player against an objective or goal rather than against other players. In the MMO world, a game mode like this might be called “player vs. environment” or PvE, in contrast with “player vs. player” or PvP. “Collaborative” games like Pandemic might also share more in common with single-player and PvE games than with multiplayer strategy games. It’s become a bit of a trend in recent games to include single-player variants or solitaire modes; Agricola, Le Havre, and Ascension (with an expansion) all support a version of the game for one player. But other media (especially video games) handle single-player gaming much better than strategy games do. Solitaire variants are nice additions that might generate some extra plays or additional buzz but probably aren’t going to represent the most popular way to play the game. 2-player games are often the purest contests of strategy between players due to the importance of symmetry occurring in player interaction. An interesting corollary to that point is that 2-player games, when played by players of approximately equal skill, are often good test cases for comparing strategies. In Dominion, if two players commit to vastly different lines of play, the lack of influence of a third player means the strategies can be directly compared against each other. As a designer, including a 2-player game mode can be advantageous to expand your game’s audience in the form of couples who want to play a game together. But simply throwing in a “dummy” 2-player variant that’s worse than–or simply different from–the few-player game is not the same as actually designing for a robust two-player experience. Symmetry: how symmetric or asymmetric is your game, and is that symmetry/asymmetry intentional? Robustness: is your 2-player mode supported in its own right, or does it more closely resemble the 3-player game with a dummy player? “Zero-sum” interactions: denying you two points is effectively the same as scoring two points for myself. External balance issues: does going first (or going second) confer a significant advantage? Repetition: does the game have enough variety of mechanics that the 2-player game isn’t simply a repetitive back-and-forth sequence? 3-player games are much more significantly different from 2-player games than from 4+ player games. The addition of a third player makes games less deterministic and changes the math behind how to acquire points. If player A prevents player B from getting five points in a 2-player game, then player A is five points closer to winning. In a 3+ player game, then player A might simply have opened the door to player C winning. 3-player games also introduce a type of variance in gameplay called player driven chaos. This variance is a byproduct of player interaction that introduces randomness into a game which remains under the control of the players. Most commonly this is visible when a player observes a very different game state between turns. This differs from traditional 2-player games in which a player is able to immediately respond following each turn or action of an opponent. In Hey! That’s My Fish! players move penguin pieces around the board to enclose ice floes and score fish which count as points. The 2-player game is a perfect information game where players block and have complete control over their final position in the game. By adding an additional player, each player loses individual influence over the control of the game as the board situation can change considerably between the turns of a given player. Therefore, in “strategy game” design, 3 players, up to about 7-8, represents a “sweet spot” of games that aren’t simply back-and-forth deterministic but can still be mechanically balanced. Over that range, 3-4 player games are by far the most common. 3-player games in particular exhibit a fascinating example of positional balance that can be described as a “tripod effect.” If one of the legs of a tripod is longer than the other two, then the other two will naturally bear more weight to compensate and keep the tripod balanced on the ground. Similarly, in a well-balanced 3-player game, the two players not in the lead will often team up to keep the leader in check, which in games like Risk can result in a near-infinite loop of shifting alliances. In Coup, the player deemed the greatest current threat frequently becomes the default target of the player who makes the next assassination or coup action. A situation can occur in which three players each have one influence card remaining while repeatedly accumulating coins. As players reach the seven coins needed to use the coup action, they will find themselves in a Mexican standoff situation. As each player can eliminate exactly one other player during a turn, the first to take this action is assured of being eliminated by the final remaining player. When designing 3-player games, consider an externally imposed end-game condition (like “the game ends after seven turns”) instead of ones based on the game state (like “the game ends when one player controls seven out of ten provinces”). This can help a game bypass the tripod effect and help to keep the objective of the game as the primary focus. Crowded market: aside from the ancient abstracts, a vast majority of games support 3-4, which can be a double-edged sword for designers. On one hand, it can be easy to develop an audience for your game; on the other hand, it can be tough for your game to stand out. Strategy saturation: are there at least three or four legitimate paths to victory? If two different players in a 4-player game are forced into pursuing the same strategy, it can be difficult for either to win. Player interaction: designs beyond 2-player games open up a greater potential for several game mechanics. Most auction systems generally need 3-players or more to function effectively. Stock holding games usually play best with at least 4-players so that interesting relationships may develop between players who share a common investment. Trading games thrive with at least 4-players as the diversity of potential trading partners can help players locate a deal that is worthwhile for both sides. Pacing conditions: direct confrontation in 2-player games frequently boils down to players trading blows in a knockout style game. When an additional player is added to this situation it can become a game of endurance where a player is more interested in survival than inflicting damage. Partnerships: with 4-players a game has the ability to use partnerships and in many cases providing teams can align objectives and help reduce player driven chaos. Interactive turns: Bohnanza supports up to 7 players, but players can participate in trades even on other players’ turns. Simultaneous turns: 7 Wonders also supports up to 7 but has virtually no downtime because the process of each turn is taken at the same time. Rules modifications: in Settlers of Catan, each player can build settlements at the end of any player’s turn, but only when playing with 4+ players. The Settlers solution works mechanically, but it does represent a significant departure from the “standard” 2-4 player rules. The “special build phase” in Settlers brings up an important point in game design: when designing for different numbers of players, making a game playable is not the same as preserving a consistent feel. Let’s say you’re an engineer in charge of a widget factory. Suppose you want to scale up your operation. You want to make more widgets–but you don’t want to change anything about the widgets themselves. Maybe you’d hire more workers, buy more machines, or expand the size of your factory. You’d also need to get more of the raw materials your widgets were made from. Scaling a game is similar. You want more (or fewer) players able to play your game, but you don’t want the game experience to change. 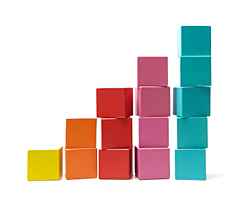 Mathematically, scaling is an operation that enlarges or diminishes the dimensions of a shape or object while maintaining some sense of proportionality. For game design, we’ll use a slightly simpler definition: scaling is a game’s retaining a similar experience regardless of the number of players. It involves changing rules, numbers, or other design elements based on player count to ensure that the game stays playable and balanced. A number of motivations for scaling exist. Scoring elements can get disproportionately influential or insignificant, games can finish too quickly or drag on too long, and the opportunity cost of pursuing different strategies can shrink or grow, all as a different number of players join the game. Fortunately, there are plenty of examples of how to scale games to solve those problems. The idea here is simple: as more players are added, the area of the board, the size of the deck of cards, or the number of any generic component can be increased to accommodate the increase in player count. La Citta, a territory control game, has a base level of territory on its map that can be used with any number of players, and it designates certain areas of territory only accessible when there are 3, 4, or 5 players. The available area per player stays approximately constant, as does the average distance between players’ territories. 7 Wonders and Bohnanza, both tableau-building card games, have central decks where more cards are added for more players, such that the number of cards per player is the same. More importantly, the composition of the deck does not change with player count: the percentage of cards corresponding to particular strategies is constant regardless of the number of cards. Worker placement games such as Agricola and Last Will have modular board components that add additional places for workers as more players (and therefore more workers) are added to the game. This approach to scaling attempts to keep the value of each individual worker the same by keeping a constant ratio between the number of workers and the places the workers can occupy. Often, an end-game trigger that is reasonable for 3 players comes far too quickly when there are 6 players, or an initial distribution of resources ideal for 4-5 makes the 2-player game unplayable. Altering these conditions is a way of scaling via adjusting the game’s external balance. Starting location cards in Pandemic are allocated such that each player gets more cards when there are fewer players. The total number of cards at the beginning of the game, and therefore the initial resources the players possess, changes only slightly with different numbers of players. Ascension ends when a pool of victory points is depleted, and that pool is larger in games with more players. Ascension’s scaling method keeps the average score per player approximately constant over various player numbers. On the other hand, Small World ends after every player has taken a certain number of turns. The number of turns decreases with more players in the game. Although Ascension’s and Small World’s approaches seem like opposites, both scaling strategies keep the total duration of the game similar for different player numbers. A third option is to change the relative value or availability of resources, points, or other objects within the game itself. Perhaps it always costs 3 Gold to build a Tower, but the Tower is worth more points for more players, or maybe the Tower is always worth 6 points, but it costs more Gold when there are fewer players. In Castles of Burgundy, more tiles are available to purchase each turn with more players in the game. Like with the worker-placement scaling mechanic above, a turn in Castles of Burgundy has a constant average value across player numbers. Seasons uses variable-cost and variable-value cards extensively: one example is a card that steals points from other players that costs more resources when there are more players. Therefore, the points acquired (and stolen) per resource spent is always the same. Finally, when trying to break through from 3+ players to 2 players, or from 3-4 to 5+, sometimes it’s necessary to add a “dummy player” or radically alter what a typical turn consists of. Dummy player mechanics are notoriously difficult to get right: on one hand, it’s a common sentiment among players that designers should just call a 3-5 player game what it is and not force a less-robust 2-player variant into the game; on the other hand, a certain player element is only ever able to play with 2 and might not even consider 3+ games. 7 Wonders (when playing with 2) and Blokus (with 3) both introduce a dummy player, a virtual seat at the table controlled by all the rest of the players, as a sort of constructive AI that the (real) players can play against without disrupting the game’s mechanics. Settlers of Catan allows players to build at the conclusion of their own turn in a 3-4 player game but at the conclusion of any turn in a 5-6 player game. The number of resource cards in a player’s hand is a critical consideration in Settlers, and the 5-6 player rule change is a way to alleviate concerns about card accumulation as well as bring the game’s length more in line with the 3-4 player game. Probably no contemporary discussion of game scaling would be complete without mentioning Power Grid; in true German fashion, it tweaks each one of its knobs to provide precise mathematical balance across all player numbers. To accomplish such detailed scaling, Power Grid incorporates a number of the approaches to scaling discussed above. Change the physical scale: the accessible areas on the map increase with the number of players. Change the ending conditions: the game ends when one player creates a network of cities that surpasses a particular number. The number of cities decreases as more players join the game. Adjust object availability: Resources replenish at different rates each turn according to the quantity of players. Samurai presents a simple example of scalability as it utilizes expanding existing elements of the game to accommodate additional players. As a result the game can be even more of a “brain burning exercise” as players must focus on accomplishing their objectives in the midst of player driven chaos. In Samurai players place their tiles next to cities in order to influence one or more resident factions – Samurai, Peasants or Priests. Through an interesting scoring system the player who controls the greatest influence over these factions wins the game. Change the physical scale: the game uses a modular board of Japan. New islands open up with each additional player so that everyone is able to use the vast majority of their tiles. Adjust object availability: as new islands and regions become available on the board they contribute additional cities and more faction tokens which players need to capture. Change the ending conditions: 2-player Samurai frequently consists of a player winning two of the three factions to secure victory. 3-player and 4-player games increases the need of specialization as players need to win at least one of the three factions in order to have a chance to win the game. Scaling can help a game design work effectively across multiple player counts but some games feature a specific number of players that is central to the gameplay. The End of the Triumvirate is structurally designed to be a 3-player game which has been described as “a knife fight in a phone booth” as players will naturally play out the tripod effect to great extent over the course of the game. Games can also scale to become different flavors of the same game. RoboRally features the ability to support 2 to 8 players. At the lower end of this spectrum (2 to 4 players) the game is a hectic racing game in which players are bumping opponents off course as they attempt reach the flags first. At the upper end of this spectrum (6 to 8 players) the game becomes a chaotic warzone of battle bots. In Ticket to Ride the gameplay of 2 to 3 players encourages strategic blocking of opponents while in 4 to 5 player games, a player can often be blocked inadvertently by multiple players through normal gameplay. Some games are functionally immune to the varying player counts and gameplay is extremely similar. Some versions of Scotland Yard pit fugitive-like Mr. X against 5 detectives regardless of the number of players. In Perudo (Liars Dice) each additional player just needs a cup and set of dice. Players only need to adjust their strategy to account for more dice being in play. Finally, the biggest concern of Scalability are games that feature a spectrum of players for which the game isn’t nearly as effective. The downside to a 3-player game the stock holding game Chicago Express is that 2 players who hold stock in the same company will work together to improve their investment while the remaining player is half as effective and will fall behind. A game such as Bang! would lose its deductive element if it were played with 3-players. Le Havre warns of its 5-player offering in the rulebook as it is best played only by very experienced players. An important take-home message regarding scaling is that it always involves balancing one design element against another one. Let’s say you’re designing a turn-based worker placement game for 2-5 players, and you want the game to last no longer for 5 players than it does with 2. To accomplish your scaling, in the 5-player game, you’ll either need to reduce the number of turns (like Small World does) or reduce the length of each turn (possibly by reducing the number of workers each player controls). Keep in mind the player scale as you work on your design. It may be better for a game to work extremely well at a single player count or at one end of an intended scale than to be just good at a wide range. Playtest using multiple player counts and consider how changes in design will affect the extreme ends of the intended player scale. If 2-player support just isn’t sufficient, drop it in favor of a game that works effectively with greater numbers of players. What player number configuration would you like to see more games support? Would you rather play Game A, which presents a highly consistent and mathematically balanced game across all player numbers at the cost of extensive rules modifications, or Game B, where the game is always played the same but the game experience is substantially different with more or fewer players? Can you think of any games that “scale perfectly” or require literally no modification of the game to play with different numbers? Carcassonne is a good example; are there any others? Can you think of any games where a scaling rule basically transforms the game into a different game? For example, the 5-6 player “special build phase” scaling rule for Settlers of Catan causes a drastic departure from the 3-4 player version. As an avid consumer of game design theory, I’m glad I found this blog. Very well done. Thanks for doing this. As I recall, Schmittberger used “petty diplomacy problem” specifically in connection with three player games. Of course, if you have a four player and one player is reduced to impotence or eliminated, it can still amount to a three player. I still use kingmaking as the more general term. Your examples are games without much (if any) direct conflict, and perhaps because of that you have not mentioned the three player “petty diplomacy problem” (Wayne Schmittberger), which is that in a game with a time limit, when a player believes he has no chance to win, he can often determine by his actions which other player wins. (It’s not a problem when players cannot directly hinder one another.) I’ve discussed this “Three player problem” at length, for conflict games, in the first chapter of the multi-author book “Tabletop: Analog Game Design,” download free from http://www.etc.cmu.edu/etcpress/content/tabletop-analog-game-design (it’s also possible to purchase a printed copy). The alternative, no time limit, tends to lead to a perpetual game as the two weaker players attack the strong, roles that change as time passes of course, but the results remain the same. Thank you Dr. Pulsipher, I’ve learned a great deal from your writings over many years so this is an exciting visit. You’re chapter in Tabletop: Analog Game Design is incredibly insightful on the intricacies of direct conflict games. We primarily addressed low-conflict and no-conflict games to focus on some of the more subtle developments that can arise between players. I’ve also learned a new favorite term today as I prefer “petty diplomacy problem” to the general term of “kingmaking”. A follow-up question: to what extent does it remain a problem for games with more than 3 players? Can a player very far behind in a 4-player game still use his actions to decide who will win? This has been an issue I’ve thought a lot about. I’m very interested in games where altering the state of the board to limit other players’ choices is an important part of the strategy, but that makes it very difficult to make the game workable with more players. I kept my hybrid worker placement-area control game Warm Kitties to two players because with more players it would become effectively impossible to strategize about how your moves would affect the other players as well as the state of the board on your own next turn. Matt: I’d like to see more games that support the entire “usual game night range” of 3-6 players equally well. I’ve been to plenty of game nights where we couldn’t play a game we were excited about because we had too many or too few players. As a result, we tend to overplay those few games in our collections that do support a wider range of player number–Power Grid and expanded Ascension, sometimes 7 Wonders or Bohnanza, less often expanded Settlers of Catan–not necessarily because these are our very favorite games, but because they reliably work regardless of how many people are playing. More games that fit that description, especially over the 3-6 player range, would be a welcome addition to the collection. Alex: Many times games seem to be designed with a sweet spot in mind. They may list 3-6 players on the box but need 5 or 6 in order to function well. As a result gaming with fewer players only feels like a partial serving of the game. I think this is one of the areas game design can improve upon. I’m a fan of 3-5 player games as this range has admitted they aren’t 2-player games and often have the mechanics that either scale down to 3 or up to 5.